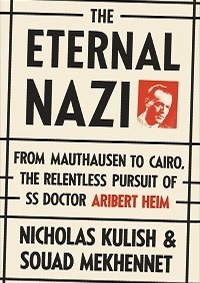 Buy: “The Eternal Nazi, From Mauthausen to Cairo, The Relentless Pursuit of SS Doctor Aribert Heim,” by Nicholas Kulish and Souad Mekhennet, Doubleday, 2014. Egyptians love a good story almost as much as they love a good joke. Heim was a physician with Hitler's elite Waffen-SS, a concentration camp doctor. At the close of the war, Aribert Heim was considered a small fish, not one of the architects of the Holocaust. Eventually, he became the world's most wanted Nazi war criminal. Germany is often lauded as unique among countries for the way it has dealt with its violent past. The pursuit of Nazi war criminals helped lay the groundwork for the International Criminal Court. No one on the streets of Cairo recognized him, but Egyptians love a good story almost as much as they love a good joke. They have long exported their soap operas around the Middle East and beyond. Why? Because they know a good adventure, romance, or mystery when they see one. Maybe, they say, it is a search for a lost father or more likely someone who has failed to pay a debt. Perhaps it is even trouble with the law. This is Cairo in 2008, and there are plainclothes security officers on most every block. The neighborhood is named after al-Azhar mosque, built in the tenth century and one of the preeminent centers of Islamic learning in the world. With its five minarets, the mosque may reflect the glories of heaven, but the air on Port Said Street is acrid from burning garbage and the tangy scent of meat hung a little too long in front of butcher shops. A postwar block of concrete rises nine stories, a dull tan color except for green or blue shutters dotting it here and there. Two men in the dark former lobby are deep in conversation, but they stop to answer the stranger’s question. One of them, Abu Ahmad, says he knows the owners of the hotel. “I have been here for many years and used to help out in the hotel from time to time,” he says. He takes the black-and-white portrait. “I know this man,” he says. Abu Ahmad gladly tells what he knows of the foreigner’s story but insists that Mahmoud Doma, the son of the hotel’s former proprietor, knows far more. After a quick series of calls, he has Doma’s number. “Hello?” a deep voice answers the phone. “I am Mahmoud, yes. What do you want?” he asks. When he hears the name Tarek Hussein Farid, he says, “Amu,” Arabic for uncle. A few days later, the incessant noise of Cairo traffic infiltrates a women’s clothing shop run by the Doma family. Mahmoud Doma’s brother opens up an old attaché case. The leather of the briefcase is coated with dust. The clasps are rusted almost completely shut. It is stuffed full of documents. Some are important records and others just the magazine clippings of an avid reader. There are letters in German, English, and French written in blue ink on yellowish paper. There are applications for residency in Egypt and transfer slips from the National Bank of Egypt. There is also a copy of a last will and testament dividing property between two sons. Many of the news clips are about Hitler and Nazism, as well as a great deal on Israel. Near the bottom of the case are several copies of a photograph showing rows and rows of white crosses outside a concentration camp. Impassioned handwritten pages describe and then refute accusations of the most brutal crimes committed at the camp, claims of execution, vivisection, and decapitation. Several names are mentioned again and again: Kaufmann, Sommer, Lotter, Kohl — and Simon Wiesenthal, who gained fame in the 1960s for his pursuit of Nazi war criminals. A Ferdinand Heim or an Aribert Ferdinand Heim has signed much of the correspondence. It is this name, Aribert Ferdinand Heim, that resonates in much of the world while Tarek Hussein Farid does not. Aribert Heim is not just the old name of a convert to Islam living out his days quietly in an inexpensive hotel, playing games with children, reading books and taking long walks around the city. Heim was a physician with Hitler’s elite Waffen-SS, a concentration camp doctor and an accused murderer. He is a phantom, a man sought by investigators for war crimes since 1946. At the close of the war, investigators barely knew who Aribert Heim was. At most, he was considered a small fish. He was not one of the architects of the Holocaust like Adolf Eichmann or a leading practitioner of deadly Nazi pseudoscience like Josef Mengele. He was seen as just one of tens of thousands who worked in the concentration camps and death camps overseen by the SS. Yet somehow over the course of decades, as those men went to the gallows, repented or died undiscovered, Heim grew in stature. Eventually, he became the world’s most wanted Nazi war criminal. Heim was an Olympic-caliber athlete, a former member of Austria’s national ice hockey team. He was a physician, one of the legions of SS doctors who perverted the science of healing into the science of death. In one of the only two photographs investigators had of Heim, the handsome doctor was wearing a tuxedo. His last known residence was the sparkling casino town of Baden-Baden, where he lived in a magnificent white villa. Law enforcement discovered that he had left behind a fortune worth more than $1 million in a bank account in Berlin. Germany is often lauded as unique among countries for the way it has dealt with its violent past. Its dedication to accepting responsibility for past wrongs, paying compensation, and prosecuting war criminals up to the present day has been held up as an example to other nations from Japan to Turkey to Rwanda. The pursuit of Nazi war criminals helped lay the groundwork for the ongoing experiment of the International Criminal Court. Yet Germany’s path was neither linear nor inevitable. In the postwar years, the search for war criminals was left to the occupying Allied forces. The local public often accused them of implementing an arbitrary and punitive form of victors’ justice. Then, the Allies’ focus shifted from the punishment of Germans to the escalating tensions between the United States and the Soviet Union. The Americans, more focused on the next conflict than the last, employed former Nazis to spy on the Soviets. If the Americans were willing to ignore the past, the Germans were happy to oblige. During the period of rapid rebuilding in the 1950s known as the economic miracle, most Germans simply wanted to forget what had happened under the Nazi regime. The burden of grappling with the country’s history fell on the shoulders of a small number of men and women: police officers, prosecutors and politicians with a conscience and a sense of duty to the victims. For years, their pursuit of justice earned them not plaudits but insults. They were taunted as traitors. Criminal cases were ignored, sidetracked and even sabotaged by former Nazis in high positions in law enforcement and the courts and all the way up to the chancellery in Bonn. Even decades later, after the mood in Germany shifted toward penitence for the crimes of the Holocaust, society often diffused responsibility into a broad collective guilt rather than individual culpability. Nazi Germany had committed heinous acts, the thinking went, but fathers, sons, brothers and friends were only following orders. Indeed so many murderers went unpunished that any prosecution could seem arbitrary, especially when it was directed decades after the war against seemingly model citizens. In the popular imagination, groups of former Nazis such as the infamous ODESSA financed life on the run for comrades-in-arms. Instead of shadowy organizations, it was the support of family and friends that made it possible for people like Heim to elude justice for so long. Heim’s last papers found in the briefcase are in the painstaking handwriting of children. There are drawings of tanks and soldiers, promises of kisses and announcements of good grades. In one letter, a boy named Rü describes his recent bicycle accident. It is written on a stained piece of graph paper, folded many more times than the copy of the photograph of his father that led to the discovery of the briefcase. He was riding with a friend when their bicycles collided, sending Rü sprawling to the ground, cut and bleeding. “The scars have once again healed well. But during these incidents one notices indeed how much we miss you,” he writes to his father. The family thinks about him daily and hopes to see him soon. Editor’s note: This essay is based on an excerpt from “The Eternal Nazi, From Mauthausen to Cairo, The Relentless Pursuit of SS Doctor Aribert Heim,” by Nicholas Kulish and Souad Mekhennet, Doubleday, 2014. 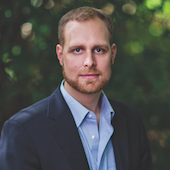 Nicholas Kulish is the New York Times' East Africa correspondent and former Berlin bureau chief. 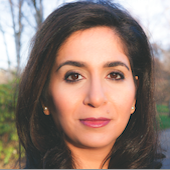 Souad Mekhennet is a journalist at ZDF (German TV) and co-author of "The Eternal Nazi."